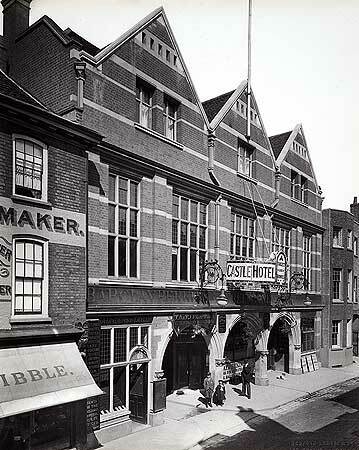 A clear image of the Castle Hotel and its smart neighbour, James Hibble, hatter and hosier, at 206 High Street. The photo was taken by Bedford Lemere in 1897. The Barclay Perkins Brewery supplied the Castle at the time. More about the history of this area.